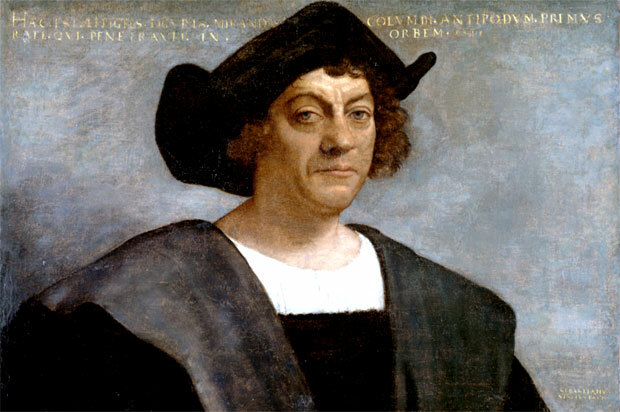 Famed, Italian Explorer, Christopher Columbus was born in Genoa in 1451. He died on May 20th 1506. As a young man he was tirelessly ridiculed for postulating that the Earth is round, and despite the support of some contemporaries of the time, it was still commonly believed that our planet was a big flat chunk of granite. Many of his country-men thought he should have been committed to an asylum for continuing to assert his theory. Understandably, for fifteenth century man, that the Earth was round and could be circumnavigated was a simply outlandish and far fetched proposition. As we all know, Columbus turned out to be absolutely right, and Twentieth Century technology has enabled modern man to observe this fact, in all its glory, for himself. Yes, in case you weren’t aware, let me confirm it. The planet Earth is a pretty, blue, three-dimensional, spheroid spinning around in space. The Earth’s shape has been well established now, but suppose the world had turned out to be flat. How brave those first explorers must have been. How trusting of there intrepid leader. They could not have known what lay ahead. Their minds so full of horrific visions. Writhing serpents of Gargantuan proportions ready to devour them whole. Wretched creatures of all sorts with one central aim, to impede them and to swallow them whole. Would the ocean drop away beneath the keel of their flimsy man made craft, and plunge them to their deaths? Indeed, Columbus must have been a very persuasive fellow, to have talked his Royal Spanish sponsors into backing this expensive and potentially foolhardy quest. (For seven long years he toured Europe trying to elicit funds for his venture) He was told again and again that his proposal to sail around the world was much too risky. He then had to enlist the services of some able bodied men and dispel the, long held, beliefs as myths and naive fears. How could he convince them of the relative safety of the journey, when he was acting on theory and personal faith? Amazing! One thing’s for sure, were I and others of similar ilk, armed only with the current day’s beliefs, ensconced aboard his ship that day, history would have read very differently. History books would be reading about a mutiny, or that a crazed man’s dream had never came to pass. The life, times and exploits of Christopher Columbus are celebrated on the appropriately named, Columbus Day. October 12th 1492. This is the day that he discovered The Americas. He died on May 20th 507 years ago.